Totem to those individuals who exemplify what Hunter S. Thompson was talking about when he spoke of ‘Mould Breaking Heroes; Living proof that the tyranny of the rat race is not yet final‘ . Inspired in part by an ex-San Francisco surfer who paddled around Kauai on a 9.0 surfboard, sleeps in a beach cave, and fishes his own food – and other like surfers and vanguards out there surfing/living for the love of life and true hedonic spirit. 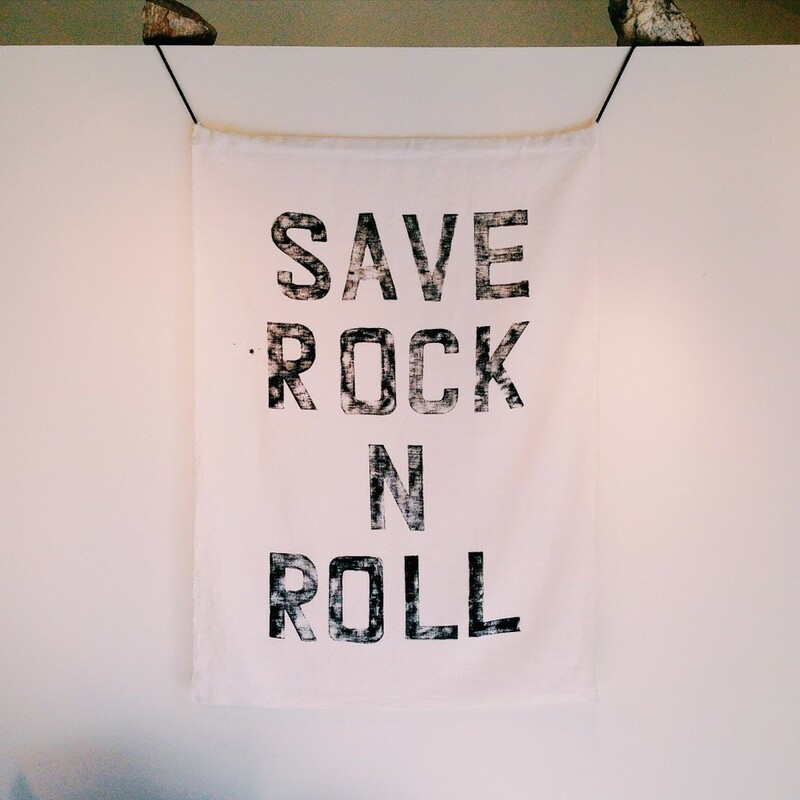 Just finished up these custom Save Rock n Roll Art Flags for Lightning Records. Limited run of 5. Only 2 Left. You can get one at Lightning’s Store. Mention you heard about it from me and I will custom make you a wood and brass mount. Although, the Rock mount looks pretty good too.